Isa allowances have been replenished to £20,000 now that the new tax year has arrived, and savers should act quickly to make the most of what these tax-free savings accounts can offier. From having a better chance of grabbing the top rates, to making the most of compound interest over the course of the next 12 months, there are plenty of reasons why now may be the best time to get a new Isa. Which? reveals how to make your savings grow, and where to find the best rates. The table below shows the top-rate accounts for each cash Isa term, that don’t require savers to hold another kind of account with the same provider. The links take you through to Which? Money Compare. Source: Which? Money Compare. Correct 12 April 2019. As the table shows, the longer you lock your money away for, the higher the rate of interest you’ll receive. 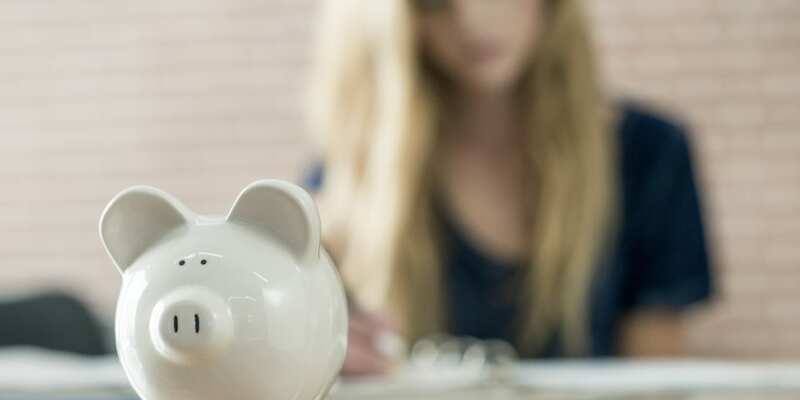 But you need to consider whether you can commit to having no access to your savings for several years, and check for any tricky terms like bonus AER periods and withdrawal restrictions that might scupper your saving. You’ll need to opt for a fixed-rate account for two years or more in order to beat the current rate of CPI inflation, which measured 1.9% in February. And if you have a small balance, there are no top-rate options for those who have a savings pot of less than £1,000, and the best four-year fixed rate account requires the large sum of £15,000 just to open the account. Those with smaller savings pots will have to shop around and may have to go for a lower rate of interest. Rather than clambering for last-minute deals at the end of the tax year, it’s generally better to get your Isa savings sorted as early as possible. Despite it being the end of ‘Isa season’ (the days and weeks leading up to the end of the tax year), many cash Isa rates are still on the up. According to Moneyfacts, the average rate of instant-access cash Isas in April is 0.98%, up from 0.95% in March, and the highest since July 2016. In April 2018, the average rate was just 0.80%. As for longer-term cash Isa savings, the average rate is currently 1.62%. It’s held steady around this mark for some time now, proving that you don’t need to jump on the March rush. Much like the chances of securing a bargain when they aren’t many other shoppers in the store, you’re more likely to get a top-rate account outside of peak Isa season. The frenzy of the past few weeks has seen OakNorth pull its 24-month and 36-month cash Isas 17 days after they were launched; Coventry Building Society’s table-topping instant-access Isa lasted just 15 days; and Aldermore withdrew its one-, two- and three-year fixed-rate accounts on 20 March as its subscriptions had already been filled. It might sound obvious to point out that the sooner you start saving your cash, the sooner it will start earning interest, but it can make a big difference. At this time, the start of the tax year, you’ve been gifted the opportunity to get tax-free savings interest on up to £20,000, so why not take full advantage of the tax break? The difference in what your savings could earn is especially noticeable if you’re saving for the long term, where your interest is compounded over several years. For instance, if you were to pay £1,000 into a cash Isa paying 1.46% AER (the current top rate for an instant-access account), you’d have £1,014.60 when it comes to the start of the 2020-21 tax year. You’d then have £1,014.60 to save, which would turn into £1,029.41 after another 12 months. After 10 years, your account would grow to £1,155.63, just from the compounding effect of the interest each year alone. Now, this example features a small amount of savings and a fairly low interest rate – with bigger figures, missing out on a year’s savings could make a difference of hundreds or even thousands of pounds. And, because the funds are held within an Isa wrapper it means they are protected from any tax liability, as the interest you earn will not count towards your personal savings allowance. If you’re holding out to see if a better rate will come along, you don’t need to. As long as you’re not breaking the terms of a fixed-rate deal, you can still take advantage of it if you transfer the entirety of your current year’s Isa savings, or you could choose to transfer all or part of previous years’ savings. Which? Recommended Providers are companies that have been rated highly by the respondents to our unique customer survey and have products that meet the standards of our researchers. Leeds Building Society has an instant-access cash Isa that pays 1.46% AER, and only requires £1 as a minimum initial deposit. Its five-year fixed-rate account pays 2.10% AER. It scored highly for interest rate information and customer service. Skipton Building Society had high scores for its clarity of statement and customer service, and has an instant-access cash Isa paying 1.42%, a two-year fixed-term cash Isa at 1.51% AER, a three-year fixed-term account at 1.70% AER and a five-year fix at 1.90%. Kent Reliance has the top-rate one- and two-year fixed-rate cash Isas (as shown in the table above). It scored particularly highly for its interest rate information. You can search through hundreds of cash Isa accounts with Which? Money Compare.